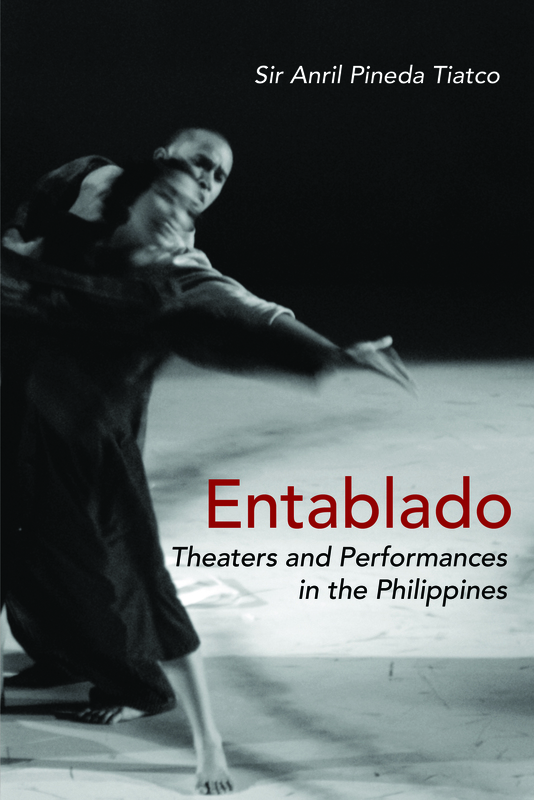 A collection of essays, this book attempts to continue the conversation on theater studies and performance studies in the context of Philippine scholarship. In the discussions, the trope of entablado is used as a central idiom. First, entablado refers to its literal meaning, as a space where a performance takes place. The space of the performance, however, is not only confined within the walls of an auditorium. It may also be in a street, a foyer of a huge cultural landmark, a river, or a school auditorium. Also, the space may not necessarily be a location exclusively for an artistic performance. It may be a space where people gather for the Divine, for entertainment, for a political protest, or for an academic conversation.Second, entablado is used here as a signpost for both ambivalence and exact possibility. The ambivalence is in the concept’s determinism, which, like entablado, has Hispanic origins, that seems to be suggestive of a need for an academic discipline in Philippine academia where the starting point is the space of entablado (theater and performance). As stated in the introduction of this book, theatre studies and performance studies as disciplines are emerging fields. By this emergence, there is an implicit invitation for the recognition of these disciplines as independent fields. In this regard, the entablado is a linage to the more traditional discipline of literary studies in which the stage is read as a cultural text. At the same time, it is also a departure from the literary paradigm to read the entablado as a cultural performance. This is where the possibilities of striking, initiating and beginning take place. The possibility of independence is implicit in the chapters, that there is something in the analyzed performances where the entablado (as a space) becomes a site for knowledge production and consumption. In particular, the possibility of the Filipino entablado as a starting point for socio-cultural and art theory may finally commence. Therefore, the possibility of entablado establishing a new paradigm in the humanities and the human sciences is not trivial but necessitates a reconceptualization of discipline: theater and performance studies.